The Grand Cities Greenway provides an awesome setting for this exciting and challenging event. Race solo or as a relay team on a course designed to test you on each leg of the race with off trail travel, so come prepared! This race is the perfect balance of fun and brutality - heavy on the former and light (but not without) the latter. After all, it is Extreme North Dakota! We also put on a race in Fargo one year (END-NORSE) that wasn't exactly the same, but did happen in the winter. 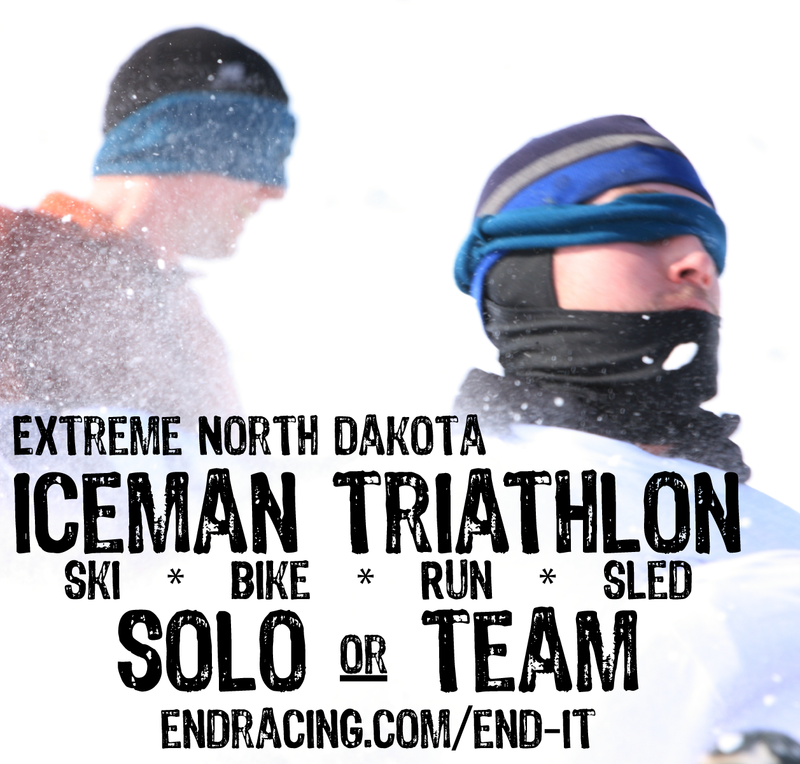 All profits from this event - and all ENDracing events - will help support Ground Up Adventures, a 501(c)(3) non-profit based on North Dakota dedicated to bringing adventure to the region's youth and larger communities.